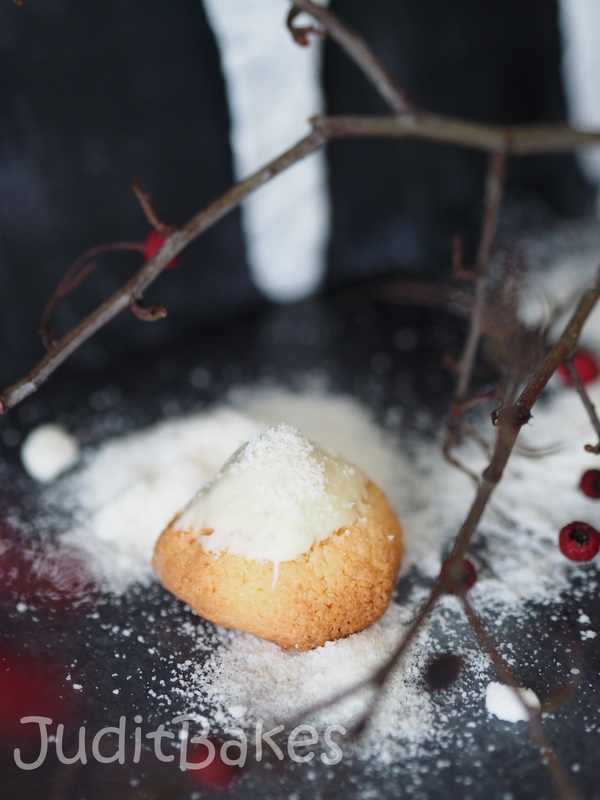 Sweet Winter Purity: Snowy Mountain Cookies | When Judit bakes...bread and better.. In life almost nothing is exactly what it appears to be. The soft snow being a really hard material is one of nature’s greatest contrasts. What hides behind the magical snowflakes floating gently from above to cover even the highest mountains? Scientifically snow is precipitation in the form of flakes of crystalline water ice that falls from clouds. It is composed of small ice particles, a granular material with an open and therefore soft, white, and fluffy structure, coming in a variety of sizes and shapes. Water in all its forms is a symbol of knowledge. Descending water represents the transmission of knowledge from a higher to a lower place, the flow of information. On a cosmic level, rain and snow reflect different ways in which divine energy flows to us from a higher spiritual plane. Snow consists of separate snowflakes that are actually independent properties – each comprised of about 100 ice crystals. Snowflakes cling to each other but they are not intrinsically one. The serenity and whiteness of snow attracts humans, who sense the purity of snow, covering our world with a white blanket of snow,as a great equalizer. Snow has the ability to cover over the impurities of life and remind the human soul of our own purity. 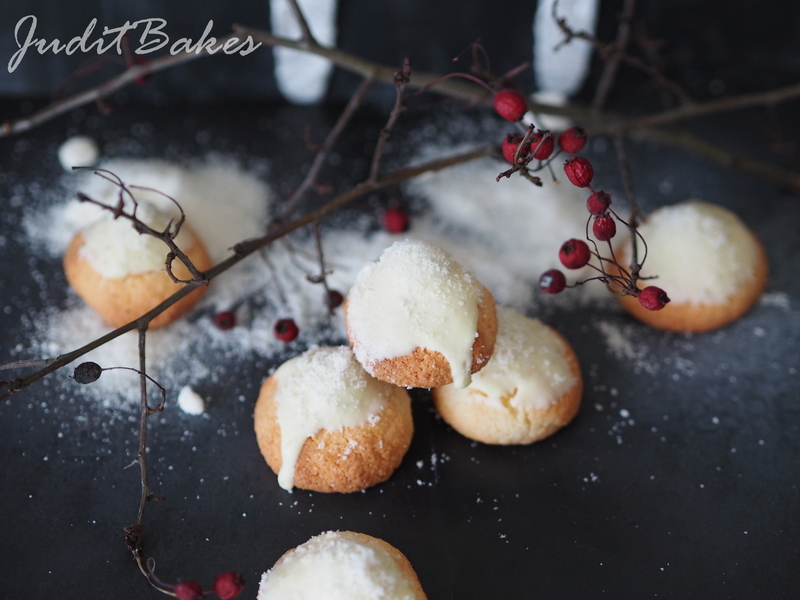 The Snowy Mountain Cookies mimic the snowy winter scenes, both in their appearance and meaning… beauty in love with simplicity. Beat the egg an then simply mix the ingredients until they form a soft dough. 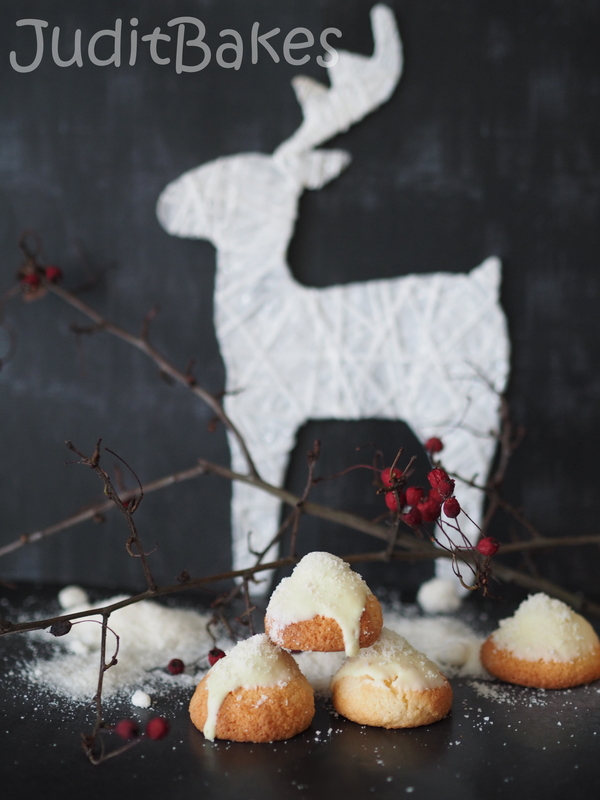 Roll the dough into 1 1/4-inch balls. (they should be individually weighed to achieve uniformity). Optionally, dip each ball into the egg wash and then roll it in coconut. Place the balls on the cookie sheet and shape the top of each by hand. Bake for about 15 to 25 minutes, until the coconut is a golden brown. 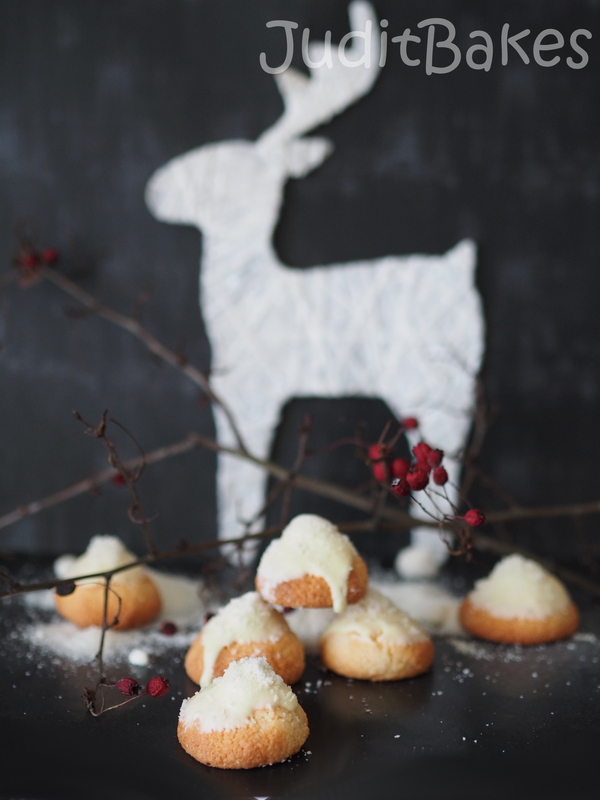 Cool completely, dip in melted white chocolate and sprinkle with coconut. 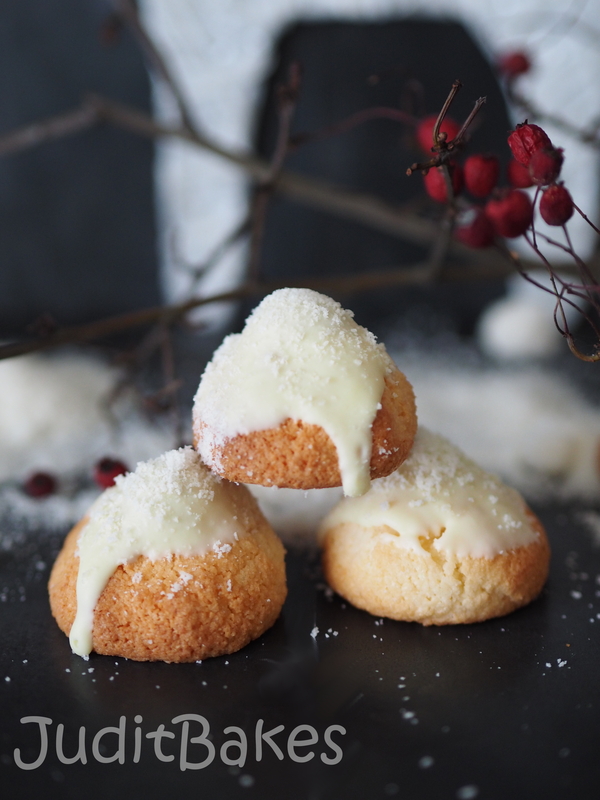 This entry was posted in Baked treats, Biscuits and Cookies, Free from..., Gluten-free, Just Everything, Seasonal Baking, Sweet Bakes, Treats for Life and tagged snowflakes. Bookmark the permalink.